George Takei, most notably known for his portrayal of Captain Sulu in the long-running series, Star Trek, in collaboration with Broadway composer Jay Kuo and writer and producer, Lorenzo Thione, formulated a musical entitled, "Allegiance." 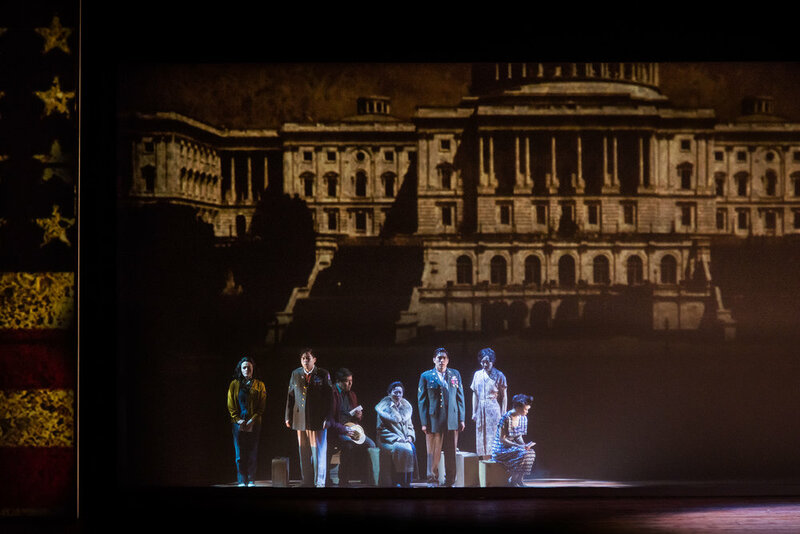 The story, based on the real life experiences of Takei, follows a fictional family, the Kimuras, as they endure a tumultuous moment in American history. The story is set during post-Pearl Harbor within WWII and highlights the effects of Executive Order 9066, an Order that pushed near 120,000 Japanese Americans out of their homes. The Kimuras are forced to leave Salinas California and are sent to the Heart Mountain internment camp in rural Wyoming. It's a remarkable musical presented with a present day/flashback narrative. Alison De La Cruz, friend, and at the time Director of Performing Arts and Community Engagement for the JACCC, invited me to capture the closing show of the musical's run, stating, "We had photographers, but we need more wide angles and panoramas..." Say no more. It's always a joy to capture performing arts because of the unique lighting which is presented and created with each performance. 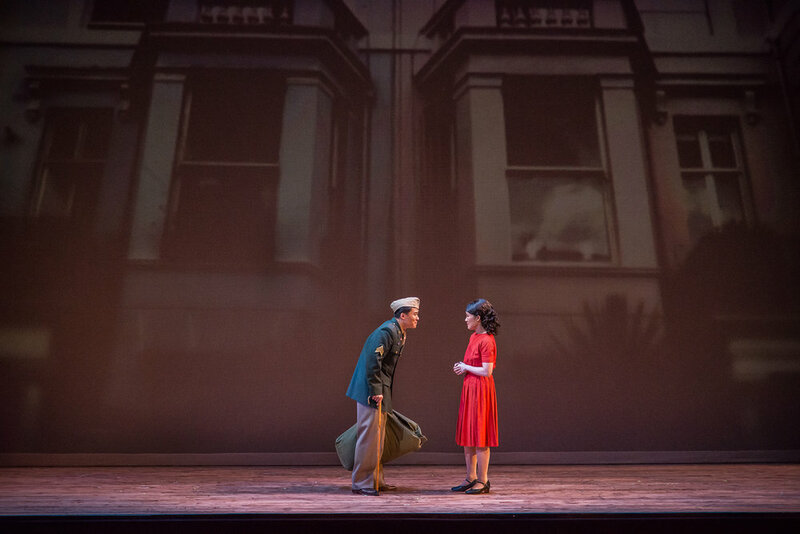 The production design team of LA's Allegiance deserves a big thumbs up. 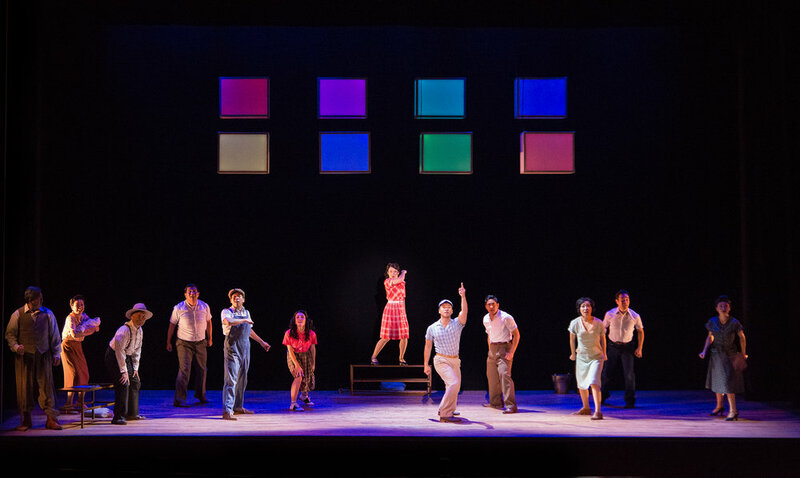 Between the colorful set decorations, image-projection backdrops and interpretive light objects, the atmosphere was palpable and therefore easily photogenic.